My mom has tons of these — mainly picked up from Goodwill for a song. The xmas when my guys were 3 months old they just lit up — literally to see all the lights strung around them. what fun! 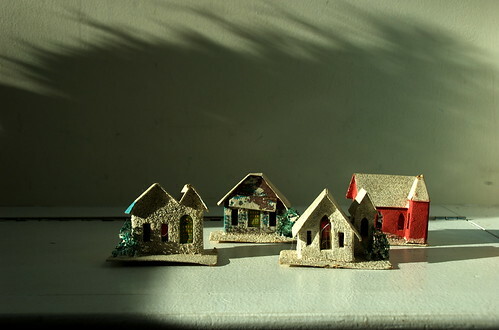 I love those old paper villages. I found a great website with info about repairing them. Here’s a link, in case it can help you.